As I have grown closer to the Lord over the past several years, I have become more of a prayer warrior than ever. There are times when I am awakened at 2:00, 3:00 or 4:00 a.m. with a driving need to lift up to God whomever He lays on my heart. The other night was one of those nights that I was wide awake at 4:00 a.m. and was so burdened by so many needs and petitions. One of which was one of my younger sisters who has battled breast cancer for more than 10 years, being told that they found a mass under her left arm with tendrils that go out in all directions. They said they would do an MRI to confirm and see how far and how deep the tendrils went. They were certain that she would need massive surgery to remove tissue under her left arm, her left breast and tissue beneath it, followed by chemotherapy and radiation treatments. These are all creditable cancer doctors in the Oklahoma Cancer Center who know their stuff. I remember how she had described the hell she went through, when she was first diagnosed years ago, with the chemo and how each treatment made her deathly, physically ill, and what it did to her body. She now deals with crohn’s disease and lost her gall bladder because of it. I prayed for many who came to my mind like my Pastor’s wife who’s spine was injured during a car accident 2 years ago, and she is in a wheelchair and cannot stand or walk. She is now a paraplegic. Then there is another friend and sister in Christ who has degenerative arthritis who needs yet another surgery. Of course there are the prayers for loved ones, grown children and grandchildren, who by their fruits show that they have forgotten their first love in Jesus Christ our Saviour and gone the way of the world. I prayed for the state of our country and the rampant complacency and acceptance of sin, and on and on the requests went up to my Lord. I do not share this as boasting in any way. I am not more special or better than any other Child of God who is called as a prayer warrior. One thing about this calling is that we can become very overwhelmed and weary at times, if we allow ourselves to think in our own human capacity, “Your thoughts are not my thoughts.” and take our eyes off Jesus. Only God in Heaven knows all of our futures and He has plans for each of us for His splendid purpose. But at times, my human self feels overcome with sadness when I cannot see the answers that I think should be given. I began pondering what Heaven is really like and how my mother, father, miscarried child, best friend, and many others are doing in Paradise. I asked the Lord if he would say hi to my momma for me and wondered if she ever goes to Him with petitions for me. Just pondering different thoughts and hoping and asking for God to send Jesus back for His church soon. There are no words to express the peace God blessed me with. I decided I would continue in prayer, asking for miracles in people’s lives, because Yahweh is the God of miracles. I leave the outcomes in His most wise and capable hands. I have prayed fervently since then that God would please be merciful and take this fearful, dreadful outcome that the cancer doctors were predicting, from my little sister because she has been through so very much already. I received word this morning that the team of surgeons and doctors met with her yesterday and were totally in awe and had never been able to give such good news to one in my sisters’ condition. The “mass with its tendrils” is now just a lump that they will remove next week. She will not have to undergo massive surgery nor chemotherapy, but she will have some radiation. Praise be to God Jehovah and to Him only! I am deeply encouraged to stay fervent in my calling as Prayer Warrior, and I will strive to share the Good News of Jesus Christ to any and all who will hear! Time is indeed short, and God would that NONE should perish! I ask of all who God leads to this to MAKE YOUR CALLING SURE IN JESUS CHRIST! 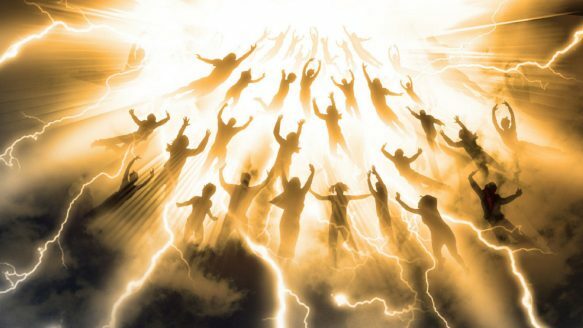 Do not be one left behind when Jesus calls God’s church home in the soon coming Rapture! We think the world is an evil place now, just wait until His prayer warriors are no longer here to bring petitions to Him for you. I regret to say that not many “Christians” in this day even know what the Bema-Seat Judgment is, or they equate it with the Day of Judgment. The Bema-Seat Judgment is for the Saved in Christ, immediately upon our translation into Heaven. “For we must all appear before the judgment seat of Christ; that every one may receive the things done in his body, according to that he hath done, whether it be good or bad.” (2 Corinthians 5:10). This Judgment is not for Salvation, but rather our works – what are we doing with Christ since we received Him as our Saviour? When we are saved, we are led by the Holy Spirit to live for Christ, if we are growing in the Spirit and trying to become like Christ. When we let this world lead us astray, we turn from our quiet times with God in our prayer closets, we turn from searching His Word so that it may mold us to be more like Christ and reveal His will for our lives, we leave God’s church family and the support that can be found there to help us through life’s trials and give us a place to serve the Lord. Do we not understand that living in and for this world, or sowing to the flesh only leads to a life of sin and corruption? Galatians 6:5-8 “For every man shall bear his own burden. Let him that is taught in the word communicate unto him that teacheth in all good things. Be not deceived; God is not mocked: for whatsoever a man soweth, that shall he also reap. For he that soweth to his flesh shall of the flesh reap corruption; but he that soweth to the Spirit shall of the Spirit reap life everlasting.” A life led sowing to the Spirit of God leads to a life of righteousness and holiness. Those who sow to their own flesh do not lose the Spirit, but they lose the fruit of the Spirit. What kind of a testimony do we have for a world of lost sinners if we are living in the flesh? (I struggle each day against my fleshly sin nature that we all have as humans. Some times I win and some times I lose. I usually lose when I try to fight the battle on my own instead of calling on the Lord and His Holy Spirit to help me die to my sinful flesh.) Those who sow to the Spirit experience a harvest of righteousness and peace, the abundant life that God wishes for His children to experience in this world. “Oh, well,” we think, “it’s okay, I am still going to Heaven, and God will forgive me.” Yes, of course both of those thoughts are true, but too many have forgotten that each and every one of us will stand before Christ at this Judgment and give account of what we did for Christ after He saved us. I have spent times in my life in the world, though saved, and when I came back to a walk with Christ, I felt such great remorse for those wasted years that could have been spent shining for Him. 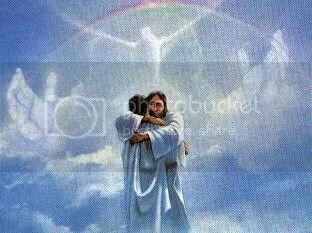 While on my knees crying out to God for forgiveness for those wasted years, I could not help but think how each of us will be so terribly overwhelmed by the remorse of not having done more for the cause of Christ, when we go into His presence, that we will weep uncontrollable tears of sorrow. I believe that those are the tears that the Lord God will wipe away from our eyes. Not only is this Bema-Seat Judgment a time for our works to be held in account, but it is also a throne where Christ will give rewards to His faithful servants. 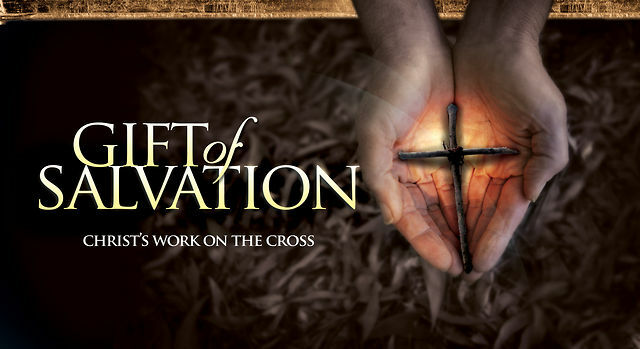 Now, I know that we all love getting recognition for doing good or doing right, but I believe when we received these rewards from Jesus, we will with all our hearts and souls want to turn right around and lay these rewards at the feet of Jesus. We will fully realize that anything we may have earned would not be possible if not for Him-we will not even be in Heaven if not for Him, and it is He who truly deserves all rewards. Scripture calls these rewards crowns, which comes from 2 Greek words: 1. diadema – a crown worn by a king and bestowed by birthright, 2. stephanos – refers to the crown bestowed an athlete in the athletic games or on the field of battle for personal victory. If we are not living for Christ, we are living for satan. Note: Leviticus is the bloodiest book in the Bible. Blood is mentioned 84 times. Seventy-one times it is referring to a sacrifice to be made for sins. But the word “atonement” also appears in Leviticus more than any other book in the Bible (49 times). Thus, there is a parallel between the blood of Christ and the doctrine of atonement. “Atonement” is found almost exclusively in three books: Exodus, Leviticus, and Numbers. It is only found once in the New Testament – Romans 5:11 above. Seeing it is against the nature of God to be unjust, He must punish all, for all have sinned (Romans 3:23). He is obligated to punish, thus there must be a place to punish the guilty. Jesus was punished for us, and — through the shedding of His perfect blood — made atonement for us, thus canceling the Judge’s obligation to punish us for our crimes. That is atonement. God is no longer obligated to punish the believing sinner. Jesus satisfied that obligation for us. When lost sinners reject Jesus and His atonement, they deserve the just punishment. 5. Purge our conscience from dead works – Hebrews 9:14 “How much more shall the blood of Christ, who through the eternal Spirit offered himself without spot to God, purge your conscience from dead works to serve the living God?” Many people have their consciences dangerously salved by dead works. These works are called “dead” because they cannot give life. Many think the more they do, the better chance they will have to earn eternal life. This is a deception. Dead works could include: Baptism, Communion, Sacraments, mission work, charity, giving money or time, learning a catechism, saying prayers, attending church, being in a ministry, reading the Bible, lent, fasting, etc. If these dead works could save us, why did Jesus have to die on the Cross? Why did His blood have to be shed? The blood of Jesus Christ purges our consciences from dead works. It makes us realize how silly it is to trust in ourselves, and what we can do, rather than trusting in Christ and what He has done. No amount of “good” works can erase one sin. That is why what we call “good” works, God calls “dead” works and He expects us to repent of them. Hebrews 6:1 “Therefore leaving the principles of the doctrine of Christ, let us go on unto perfection; not laying again the foundation of repentance from dead works, and of faith toward God,” The foundation is the first thing built. The first thing to having a relationship with God, is to repent of the dead works you are trusting in. This Salvation is entirely and wholly a work of God’s grace–without any works of man. Ephesians 2:8-9 “For by grace are ye saved through faith; and that not of yourselves: it is the gift of God: Not of works, lest any man should boast.” God’s grace (undeserved and unmerited favor) draws us to Himself (John 6:44), gives us repentance (2 Corinthians 7:10), and faith to believe (Romans 10:8-17). The Doctrine of Salvation is the last in this doctrinal study. Let me make a statement of faith by this study–I believe that Repentance towards God, and Faith towards our Lord Jesus Christ and His finished work on Calvary, is the only ground for salvation from sin – “Testifying both to the Jews, and also to the Greeks, repentance toward God, and faith toward our Lord Jesus Christ.” (Acts 20:21) I pray that this study will accomplish God’s perfect will wherever He sends it. Salvation is great! It is the most wonderful gift a person can ever receive from God. This doctrine is a study of that great salvation. The believer is to put on the “helmet of salvation” as part of his armor against the wiles of the devil (Ephesians 6:17). The helmet protects the head (mind) from doubts. Very few believers ever amount to anything until they understand so great salvation and the security that we have in it. Salvation means “to deliver and salvage.” Who delivered us from so great a death, and doth deliver: in whom we trust that he will yet deliver us; (2 Corinthians 1:10). Jesus said, “It is finished” before dying on the cross (John 19:30). He was the final physical sacrifice that was ever needed to satisfy the wrath and anger of a Holy God against sinners. Jesus satisfied the just demands of a Holy God that sin be paid for by the death and the blood of a perfect sacrifice. God is satisfied forever – thus Jesus is the Author and the Finisher of our faith (Hebrews 12:2). This is the most obvious part of our being. Man is made up of flesh, bones, muscles, organs, hair, eyes, feet, mouth, arms, legs, hands, fingers, etc. He is a walking miracle, so complex that only a Supreme Being of superior intelligence could have thought of or created such a body. We can sin against our own body, 1 Corinthians 6:18, “Flee fornication. Every sin that a man doeth is without the body; but he that committeth fornication sinneth against his own body.” The body can bear in itself the punishment for its sin, 1 Corinthians 11:30, “For this cause many are weak and sickly among you, and many sleep.” There are many illustrations in the Bible of diseases being inflicted on a person’s body for the sins of the body, especially sexual sins. Hebrews 13:4, “Marriage is honourable in all, and the bed undefiled: but whoremongers and adulterers God will judge.” Sexually transmitted diseases are rampant, and some are fatal. There are also many diseases in the body caused today by smoking, drinking, overeating, drugs, improper eating and other vices. Jesus was always divine and always will be. He became human around the year 4 B.C. Thus He is the “God-Man.” This section of our study is about His humanity. Hebrews 4:15-16 “For we have not an high priest which cannot be touched with the feeling of our infirmities; but was in all points tempted like as we are, yet without sin. Let us therefore come boldly unto the throne of grace, that we may obtain mercy, and find grace to help in time of need.” Let us look at the humanity of Christ. This birth was announced to Joseph by an angel of the Lord – Matthew 1:18-25 – and to Mary by the angel Gabriel – Luke 1:26-35 – before she ever became with child. She was a virgin and she abstained from sexual relations with Joseph, her espoused husband, until after Christ was born – Matthew 1:25. After Jesus was born, Mary had at least 6 children who were fathered by Joseph – Matthew 13:55-56; Mark 6:3. Jesus’ birth was a miracle with no human father involved! Acts 2:22 “Ye men of Israel, hear these words; Jesus of Nazareth, a man approved of God among you by miracles and wonders and signs, which God did by him in the midst of you, as ye yourselves also know:” As noted earlier, He is called the “Son of Man” 84 times. 12. He thirsted – John 4:7, 19:28 There are many other examples in the New Testament of His partaking in humanity, including the fact that He died. D. Jesus came through the lineage of David – Mary had to be married at the time of the birth, so Jesus would not be born of fornication. Her husband, Joseph’s, lineage was through David, and is recorded in Matthew 1:1-16 and Luke 3:23-38. He is called, “the Son of David” on 17 occasions in the New Testament. E. Jesus Christ died on a cross for all mankind – His death is the fundamental theme of the gospels, and it is essential to our salvation. I Corinthians 15:1-4; John 3:14-16; I John 2:1-2; 2 Corinthians 5:14-15. G. Jesus rose from the grave – He arose in a body of flesh and bones. See Luke 24:3; Luke 24:39-43; John 20:5-7; John 20:27; Romans 6:9-10. He is alive forevermore.